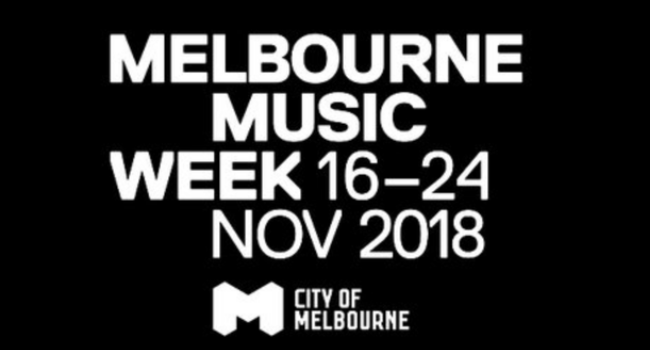 Melbourne Music Week (MMW) is kicking off for 2018 on Friday 16th November for a nine-day celebration of the city’s vibrant and diverse music scene. The line-up is insane. There are over 250 acts performing, including Gretta Ray, Ainslie Wills, Angie McMahon, Alice Skye, Jeff Mills, Matt Radoich, All The Colours, DJ Seinfeld, Andy Garvey, Andras, Batz, Nadia Rose, Eprom, and hundreds more artists. There are 85 events running as part of MMW. When you think MMW, it’s easy to assume there will only be live gigs, but that is certainly not the case. Along with the many intimate, one-off gigs, there is set to be a host of interactive, immersive experiences for you to enjoy. On the 18th of November, attend the Dark Space Project to be taken on a journey of ambient and psychedelic music in complete darkness. Experience a re-imagining of the construction sounds of the Metro Tunnel with Tunnel/Vision on the 21st of November. Participate in a musical lucky dip, on Friday 23rd November as part of Melbourne Star’s Musical Menagerie. Immerse yourself in a virtual dystopian rural Australian landscape on the 24th November with Want It To End: Fierce Mild Live Virtual Reality Experience. There truly is something for everyone. The Melbourne Star’s Musical Menagerie is part of MMW18’s exciting lineup! For the intellectuals among you, there will even be a series of talks being held across the nine days, with speakers discussing topics such as the mechanics of film scoring, inclusivity in the music industry, how music can be used to heal, and ethics in the music industry. MMW is set to be one of the biggest events in Melbourne. Come and support the treasure that is Melbourne’s creative industry, and check out some of the many events on offer! Take a look at the MMW program here. See the full MMW line up here.